Holidays are meant for good times and enjoyment. And when hills are your home, the beaches are bound to be your holiday destination of choice. So searching for a place to unwind and relax was a no-brainer. In the Gods Own Country, Kerala (India) lies a hidden gem known as Kannur. As a holiday destination and vacation spot, it is bound to bewitch and amaze you with its pristine beaches and awe-inspiring views. If you are looking for a place like Goa sans the overflowing tourists, shacks on beaches and over budget resorts, then your search for some peace and tranquility should lead you here. It is a perfect place for spending quality time with friends and family. Also known as Cannanore during the British rule, this beautiful place has a rich and vibrant history. As one of the three most important cities of the western part of the Indian sub-continent, Kannur was not only an important trading center but also served as the headquarters of the British Military on the western coast of India until 1887. The old city of Kannur was ruled by Arakkal Sultanate, the only Muslim Royal Dynasty of Kerala, while its adjoining areas were under the rule of the Kolathiri Kings. Today St. Angelo’s Fort is the only standing witness to the immense history of Kannur. Overlooking the magnificent Arabian Sea, the fort is built on a cliff by the side of Mapila Bay. It was built by the first Portuguese Viceroy of India, Dom Francisco de Almeida, in 1505. The fort houses an epitaph of Susanna Weyerman who was the wife of the Dutch Governor Godfried Weyerman . She died on 28th March 1745 A.D. and was just seventeen and half years at the time of death. Coming back to the nearby attractions of Kannur, in the present time, one cannot miss the drive-in beach that is at Muzhappilangad, a mere 14 km away from Kannur. 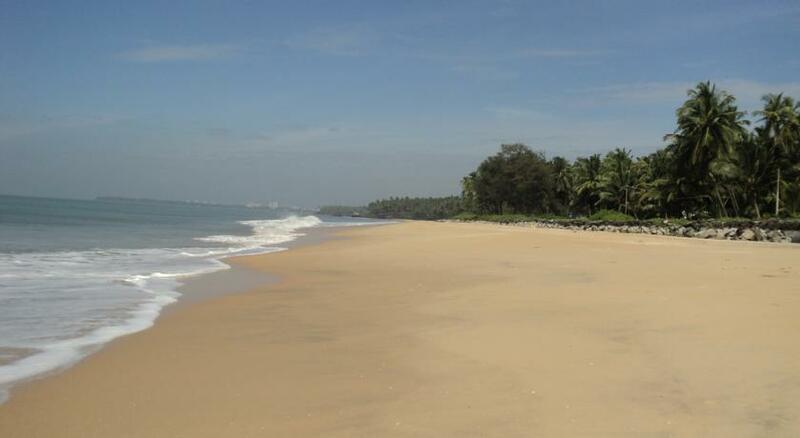 This unique beach and only one of its kind in India is located between Kannur and Thalassery. Driving your vehicle on the beach with the Arabian Sea lapping beneath your wheels is an absolutely thrilling experience. During low tide, one can cover a distance of approximately 5 km driving on the beach. If you are looking for a recommendation of a resort for staying then try the Club7 Beach Resort on Kizhunna Beach. Its only drawback is a hardly 50 meters stretch of bumpy mud road that finally leads to the resort. Apart from that little detail, the place offers complete value for money accommodation. Cleanliness is at its best, the food is appetizing and good and the staff is extremely pleasant and friendly. And the best part is that the beach is just 30 steps away from the resort. So next time when you decide to plan a beach holiday, don’t just rush to Goa. There is much more that our incredible country has to offer. Searching out these hidden gems will not only make your vacations more exotic but pleasurable as well. Kannur is just a proof that good holidays can be had within the limits of a tight budget. Definitely, want to go Kannur for vacation… the drive-in beach at Muzhappilangad is exciting…keep exploring new places. Thank you for the appreciation. If indeed you do go to Kannur I am pretty sure you shall be delighted with its tranquil beauty. What beautiful pictures. When I think of India I usually don’t think of beaches, this was a very eye opening piece. If you are willing to explore then India has a lot to offer. Some places are more commercialized than others. And it is these less explored places where you will find exceptional beauty along with sharing and caring people. Indeed Kannur is a gem. It’s on so many itineraries involving Kerala. That is proof enough! This looks like a great hidden gem, thank you fo r bringing it to light and your pictures showcased it so well. I must admit I am not very well versed in the less popular, or talked about cities. But this one looks like a fun place to visit. Ooh this sounds like such an amazing place with great history! What beautiful pictures. this is a very eye opening for those who think of visit to India,very useful. Beautiful pictures! I would love to go there some day! I’ve heard so much about Kannur and it totally lives to its expectations! My office has a branch there and I really need to go there now.